The Royal Navy should be able to “develop a reign of terror down enemy coasts”, Defence Secretary Gavin Williamson said today. “In 1940, Winston Churchill said: “Enterprises must be prepared with specially trained troops of the Hunter class who can develop a reign of terror down enemy coasts”. According to the National Army Museum, Churchill’s quote ends by proposing a “butcher and bolt policy” of commandos behind enemy lines, “leaving a trail of German corpses behind them”. 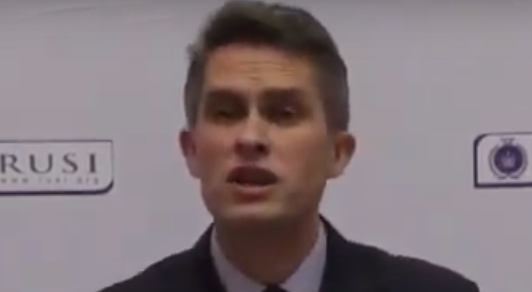 Williamson’s speech was interpreted as a show of force against both Russia and China, as he said he would send the military’s new aircraft carrier to the South China Sea. The Defence Secretary also defended the concept of foreign military intervention, saying that the price of not intervening is often higher than the price of intervening. When asked four times by Richard Madeley if he regretted these words, he failed to answer and Madeley ended the interview. “The shooting from the hip and choice of words has raised a few eyebrows because it’s not particularly statesmanlike. On the other hand, Campaign Against Arms Trade criticised Williamson’s current planned increase in military spending instead of the cuts of the past eight years. “With the UK at a crossroads, the Government should redefine its role, but that should mean an end to interventionism and the focus on projecting military strength around the world – not more of the same failed policies that have done so much damage. Williamson is rumoured to be planning either a Tory leadership run himself, or to support another candidate in exchange for a top job under the next leader.